News has just come to hand that Microsoft Office 2019 is set for release in 2018, the announcement was made earlier this week at the Microsoft Ignite 2017 conference held in Orlando, Florida. 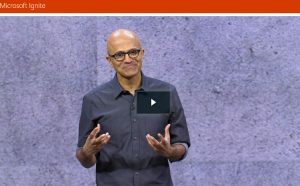 Whilst Office 365 is an ever-updating service, Office 2019 will be for customers who aren’t ready to move to the cloud just yet. Details are being kept under wraps for now, all we can report on for now is that it will include new “inking” options, which allow you to jot notes and draw on top of documents, in addition to “new formulas and charts that will make data analysis for Excel more powerful.” As soon as we have more information we will report on it. We are excited! !